We are delighted to provide you with the joint report of our club’s meetings No. 96 & No. 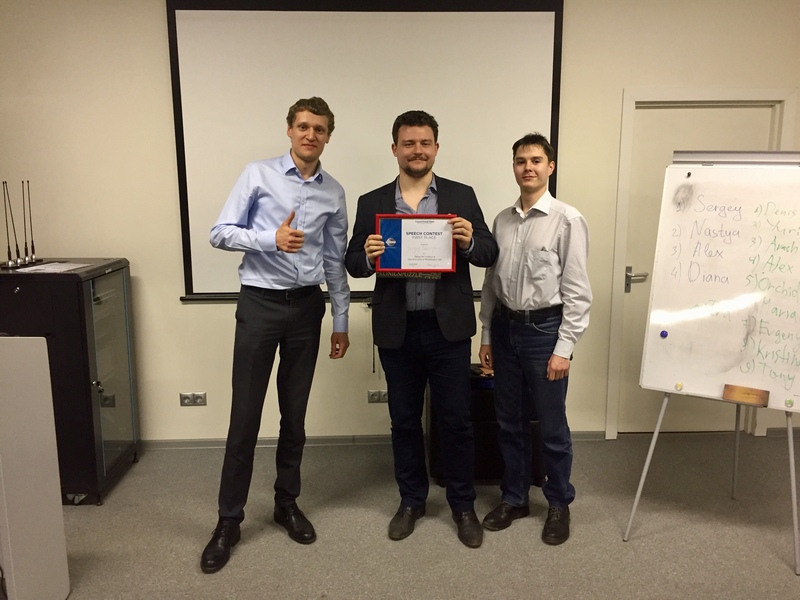 98 at which we held Qualification contests for Moscow Area Spring Conference! Enjoy! The first qualification contest, the Evaluation, took place on March 13. 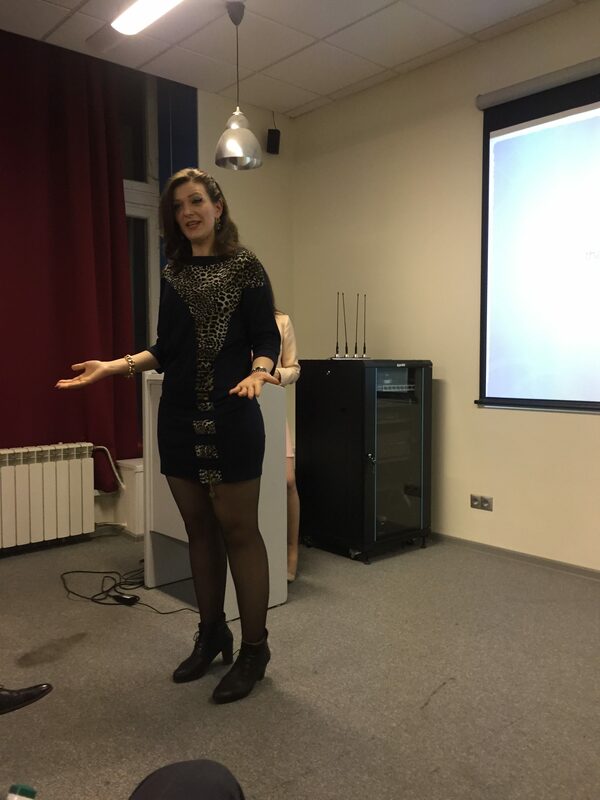 The target speaker, Ekaterina Galdanova, delivered a very interesting and, to some extent, even controversial speech devoted to the concept of jealousy, thus setting a challenging task for the contest participants of providing objective and valuable feedback to her. 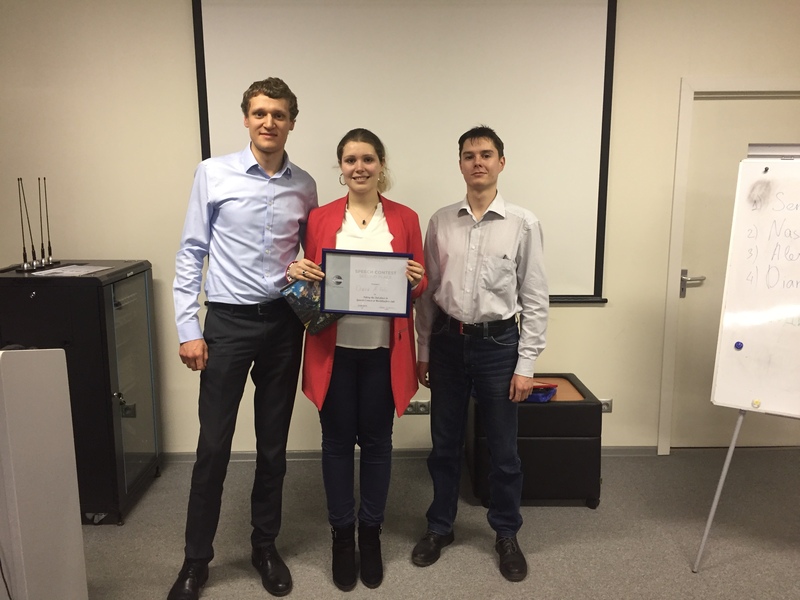 And it turned out to be challenging indeed – but rather for the team of secret judges led by Chief Judge Alexey Kravtsun – to choose the best evaluator of Ekaterina’s speech. All the participants provided an outstandingly through analysis, each marked by some notable individual features, remarks and recommendations. 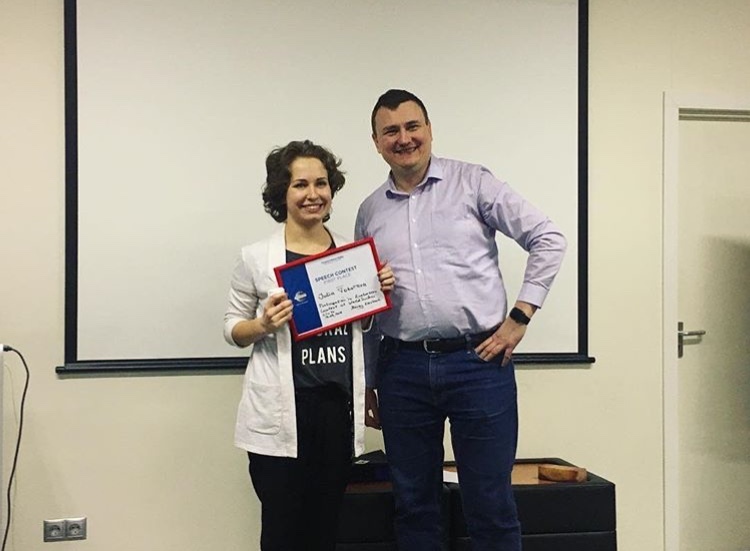 However, the most creative and even, to a degree, theatrical performance was delivered by Yulia Tokareva, who became the winner of the Qualification Evaluation Contest. In addition to the Contest, our club’s meeting No. 96 was marked by regular performances of two speakers: Victoria Zhiltsova shared a very touching inspirational personal story about her family entitled “Don’t let fear be your decision-maker” within the Ice-breaker project, while Alexey Kravtsun, together with Denis Shevchuk, presented a curious role-play in a form of a talk show entitled “Do you still believe in UFO?” within his advanced project No. 2 from Communicating on Video manual. Diana Al-Zubi delivered an extremely encouraging and motivating speech entitled “The secret of high-achievers“. 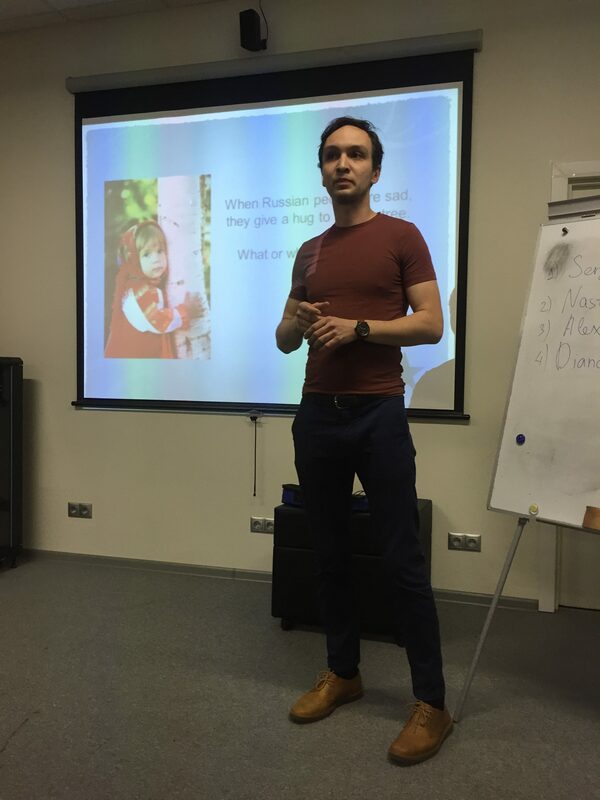 And we would like to congratulate the winner of the Speech Contest, Sergey Saprykin, and once again express our biggest thanks to him for giving us a chance to enjoy such an artistic performance! In addition to the Speech Contest, our meeting No. 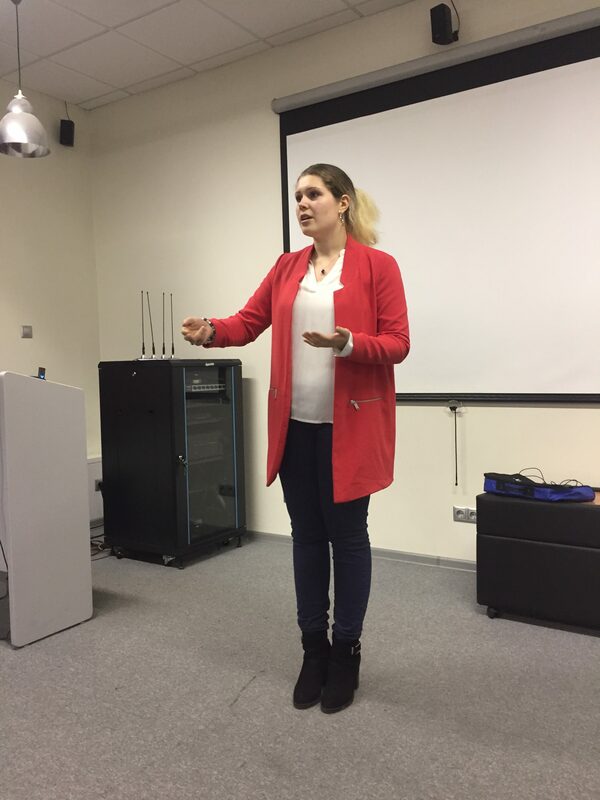 98 was marked by a very lively Table Topics session held by Victoria Zhiltsova in the form of Jeopardy game. Each participant was invited to pick a situation ranging by categories and levels of difficulty and explain how he or she would handle it. 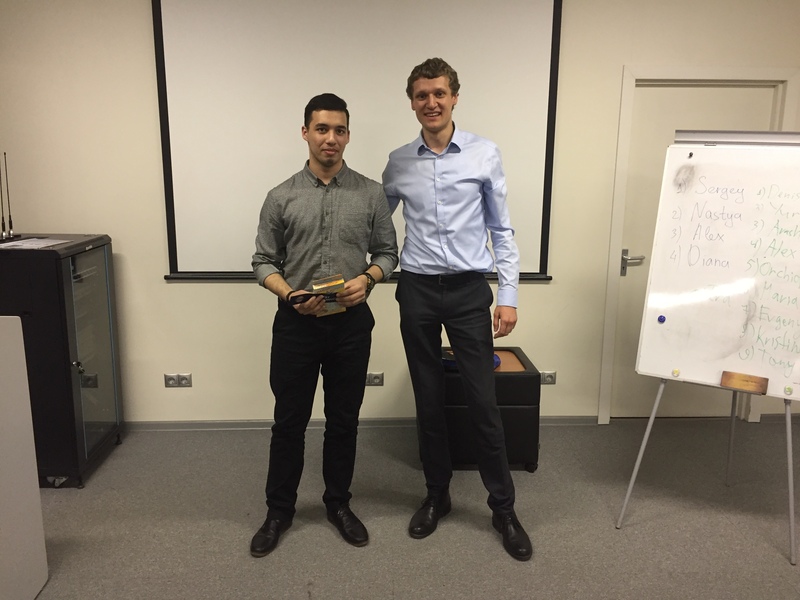 And we are delighted to announce the winner of the Table Topics session – Arash! Congratulations! Thank you all for making our meetings No. 96 & 98 as memorable and exciting as they were, and we are looking forward very much to seeing you all at our upcoming events!